Apply for a Scheduled Course – Join in and interact online with others who are taking the course at the same time. Applications due 3 weeks before scheduled course. Arrange for Individualized Self-study – This is a great option if scheduled course dates don’t work for you. Application needs to be submitted 3 weeks before individual course starts. Contact tracy@lifestepsweight.com for more information. Are you an RDN or health professional interested in learning more about LifeSteps®? LifeSteps® is designed for groups of 10-18. This size allows for a healthy combination of discussion, content review, sharing, accountability and group support. This size group is small enough to provide personal contact that supports successful behavior change, but big enough for dynamic and robust interaction. Develops your skills in behavioral techniques, behavioral feedback and group management. Certifies you to deliver LifeSteps® in a variety of setting, including worksites, private medical practices, fitness centers and wellness and bariatric clinics. Provides RDNs with 15 CPEs that can be completed on your schedule, in your home or office. Identify all components of the LifeSteps® Weight Management Program. Know how to use each component effectively. Apply cognitive-behavioral strategies and group facilitation skills in a weight management setting. Understand when and how to provide behavioral feedback to clients. Apply goal setting concepts to specific client situations. Function as an independent contractor of the LifeSteps® Weight Management Program. Market and promote the program. Scheduled Course – Join in and interact online with others who are taking the course at the same time. Individualized Self-study – This is a great option if scheduled course dates don’t work for you. Contact tracy@lifestepsweight.com for more information. 6 weeks to complete the LifeSteps® Leader Training Course! You complete the course at your own pace, on your own time, in the convenience of your home or work setting. The course is open and available for you 24/7. There is no set time to log-in and you can work when it fits your schedule. Plan for about 3 hours per week to complete the tasks. We are proud to say it! “Not just anyone can teach LifeSteps®! 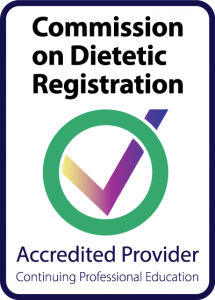 Only Registered Dietitian Nutritionists (RDNs) and qualified health professionals can become LifeSteps® Leaders.” It’s what sets LifeSteps® apart from other weight management programs and one way we maintain the integrity and quality of the program. Hold a 4-year degree in a non-related field, have 5 years’ work experience in a health-related field, and have completed a minimum of one college-level course in human nutrition from an accredited college or university within the past 5 years. With medical conditions, such as prediabetes or diabetes, hypertension, knee and joint issues, sleep apnea or any condition where losing weight – even small amounts – can make a big difference. Who suffer from “diet burnout” and have tried numerous diets without success. Who simply want to look and feel better. Regardless of the motivation for losing weight, a person has to be READY for LifeSteps®. It is for the individual who WANTS to lose weight for personal reasons, not because someone has told them they “should” or “need” to lose weight. Commit to healthy, moderate eating habits and regular physical activity. Be accountable and keep daily food and activity records. Attend LifeSteps® classes and be part of a group that can support them. Commit to healthy, realistic weight loss goals and take the weight off slowly. Challenge their current attitudes and beliefs about food, physical activity and weight. Engage family, friends and others who will support their lifestyle changes. We are proud to say it! “Not just anyone can teach LIFESTEPS® ! 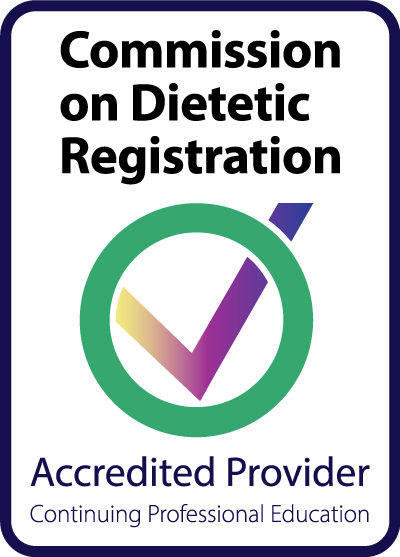 Only Registered Dietitian Nutritionists (RDNs) and qualified health professionals can become LIFESTEPS® Leaders.” . It’s what sets LifeSteps® apart from other weight management programs and one way we maintain the integrity and quality of the program. Hold a 4-year degree in a non-related field, have five years’ work experience in a health-related field, and have completed a minimum of one college-level course in human nutrition from an accredited college or university within the past five years. All applicants who are accepted into the course must sign and return a LIFESTEPS® Leader Agreement that outlines LIFESTEPS® intellectual property rights.